With Good Finance, Dreams Do Come True. Discover finance options you didn’t even know existed. Choose from hundreds of home loans across dozens of banks & lenders. Finance for first home buyers, upgraders & investors in Newcastle, Central Coast and beyond. Investment property finance experts. We understand your special needs as a property investor. Access to flexible mortgage products, including the use of smart SMSF strategies. Drive your new car, sooner! From replacing the family car to a new work vehicle, we offer leasing, hire purchase, and chattel mortgage finance options. Car buying service. 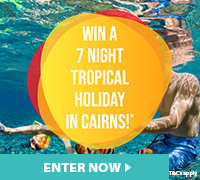 Follow the link above for you chance to win a holiday and destination of you choice. The right loan can potentially save thousands. We’ll help you find it. We work with people like you who are looking to buy their first home, upgrade to a bigger house, or to purchase an investment property, motor vehicle or business equipment. Finding the loan best suited to you takes time, knowledge and experience. From our panel of lenders we source the right loan and make your journey far less daunting and confusing. We keep you informed at all stages of the loan process and work closely other parties involved, so you can sit back and relax. From Maitland to Newcastle, though to Lake Macquarie and the Central Coast we’re the mortgage broker of choice for The Hunter. We know the local area and are available to meet you at your home or office at a time that suits you. How much can a home loan refinance save you each month? By comparing your current loan with others in the market we can check if you are paying your bank too much. Why Choose Channel Direct as your Mortgage Broker in Newcastle? It is crucial to find the right Mortgage Broker Newcastle. Your home is one of the largest purchases you will ever make in your life, and the process could be complicated. Channel Direct can help you ease out the process by providing you the right information and guidance from a licensed Mortgage Broker in New Castle. Setting an appointment with your chosen mortgage broker is free. Call us today at 02 4971 6290 for a chat. Channel Direct more than exceeded our expectations of what services a mortgage broker provides. As first home buyers we had little to zero knowledge & Robyn kept our minds at ease with relevant information & options, as well as providing excellent and timely service. We would recommend them to anyone in the home purchasing world. From start to finish we were dealt with in a very professional and friendly manner. We were kept in the loop all the way through and the process took less time than we anticipated. I can honestly recommend Fred and his company to anyone looking for a loan and to have a personal professional touch was great. Cheers! We found Robyn to be extremely helpful, knowledgeable and informative. Robyn spent many hours talking us through our options and answering our may questions. We bought our first home with complete confidence knowing we had made the right decision.